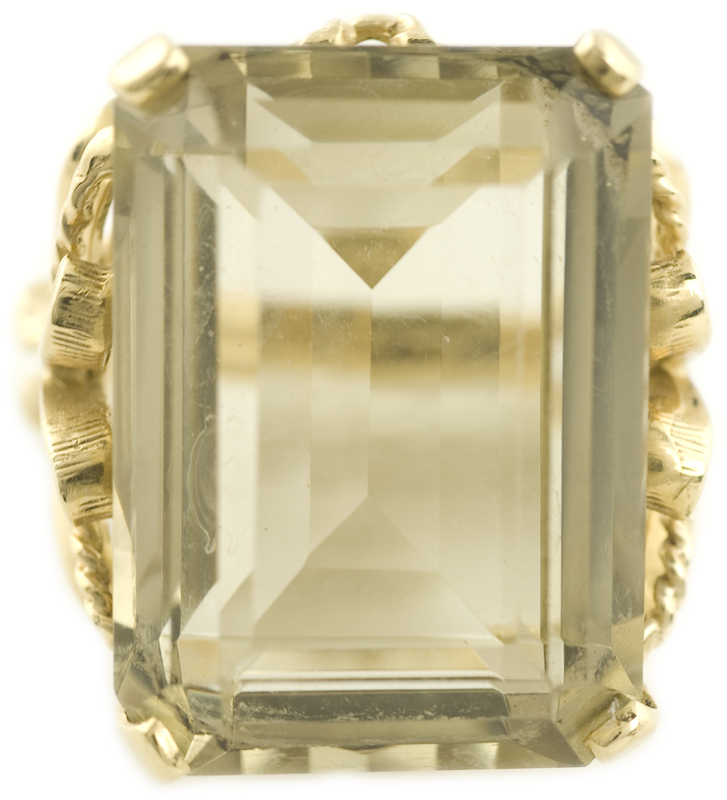 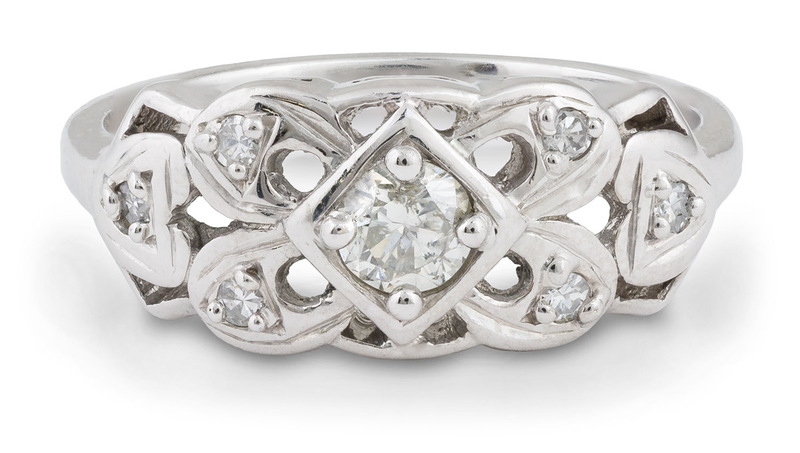 A lovely solitaire ring that exudes vintage elegance. 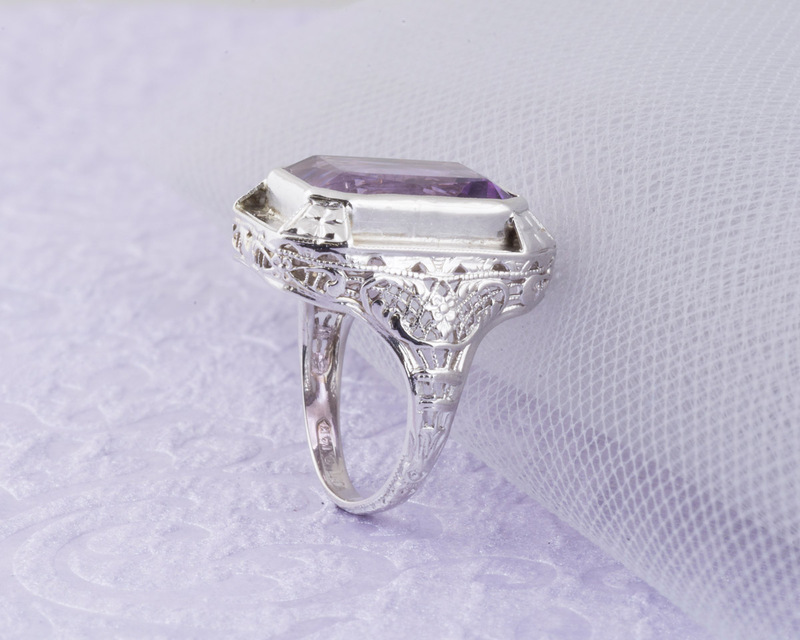 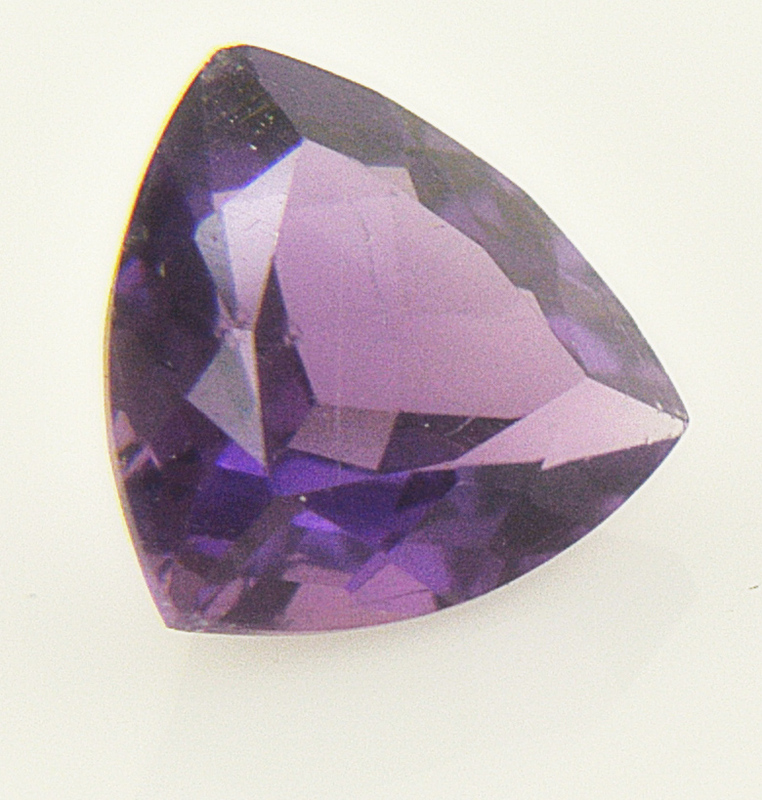 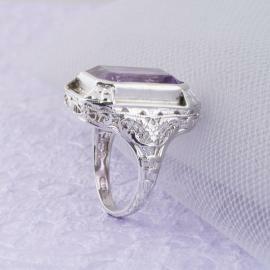 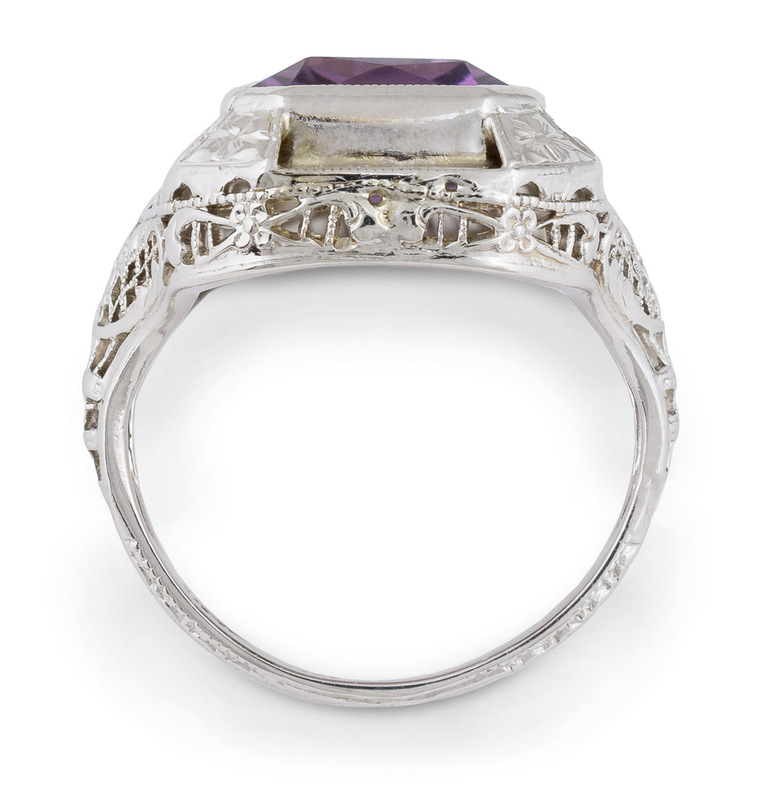 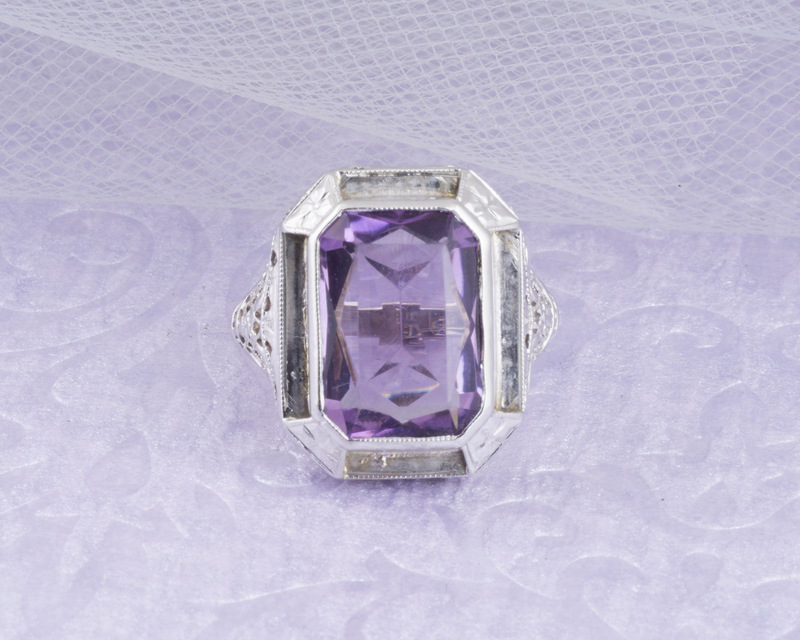 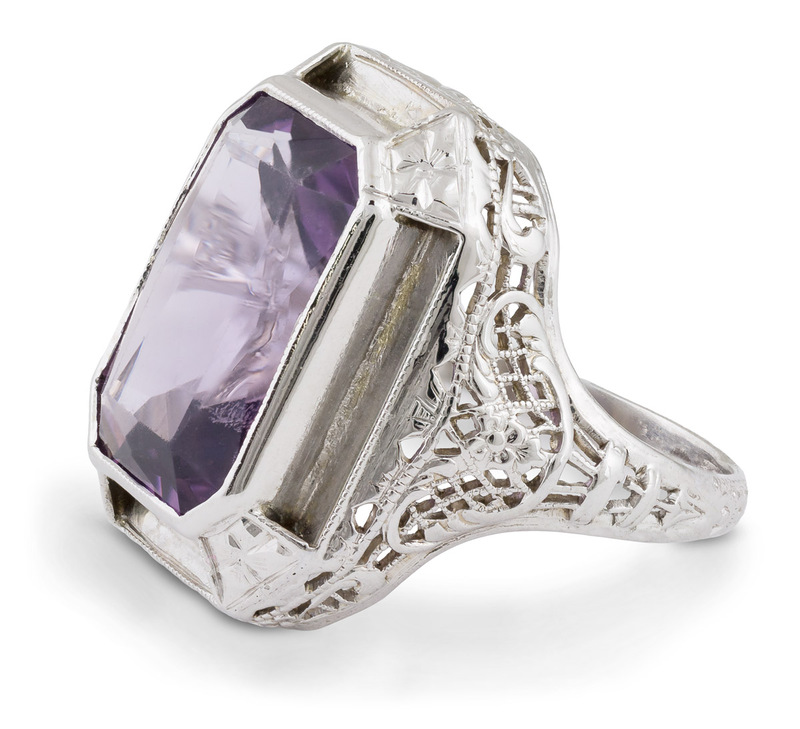 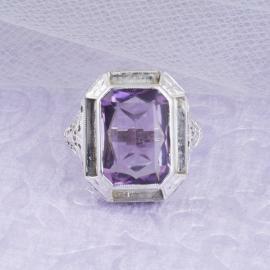 The purple amethyst center stone is set in a decorative bezel setting. 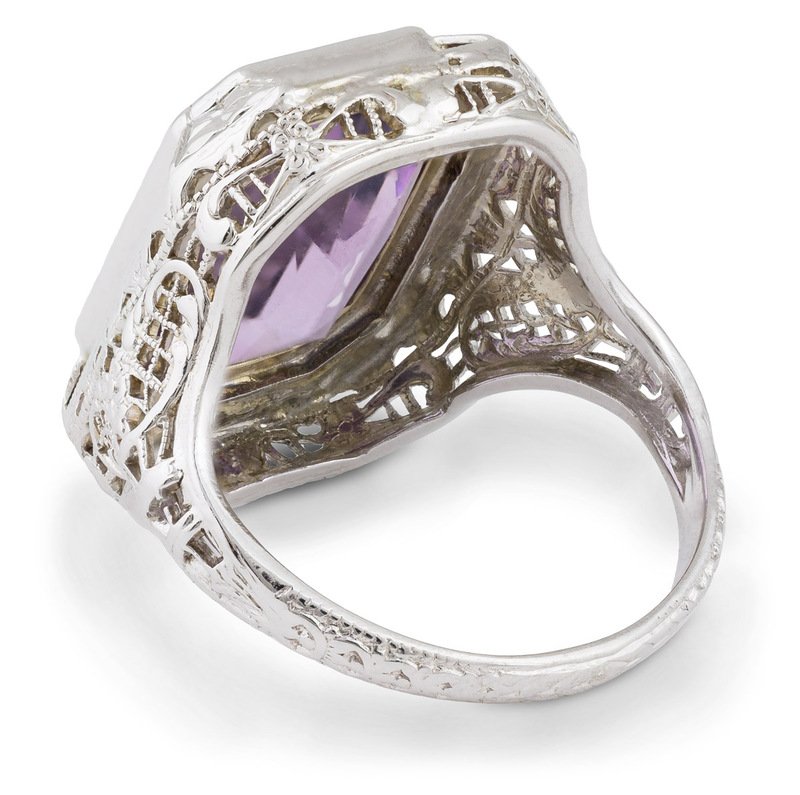 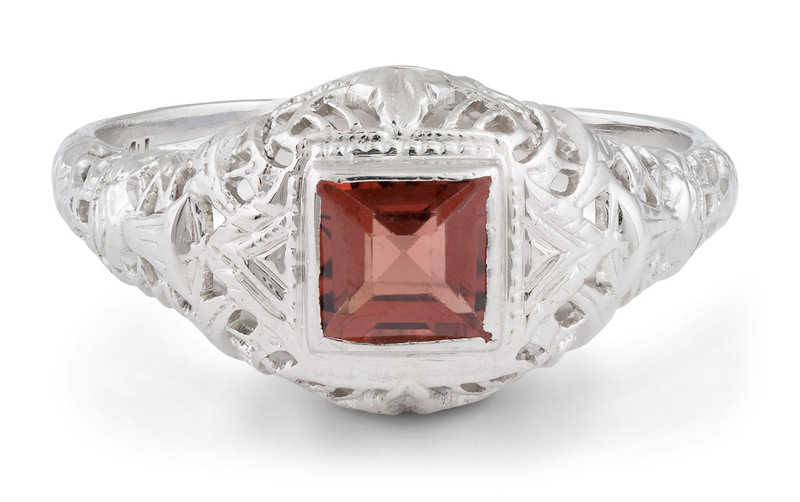 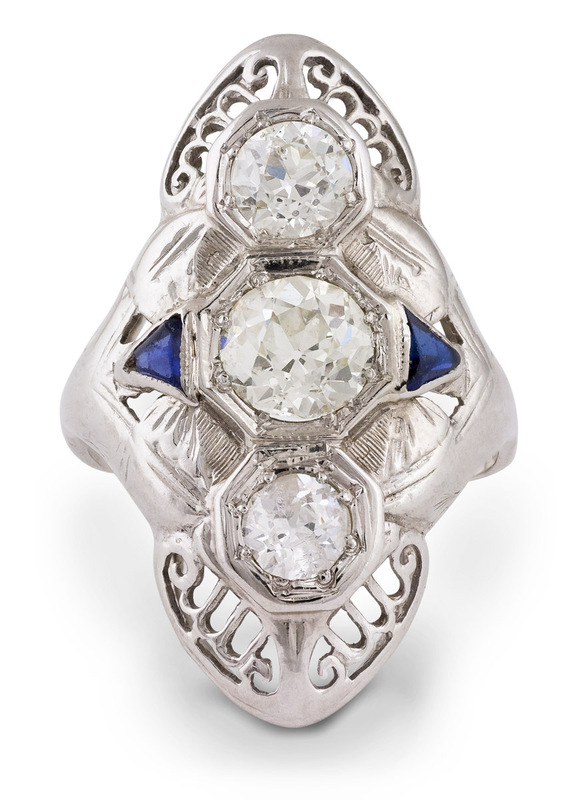 Intricate filigree covers the top half of the ring, with some engraved accents on the shank. 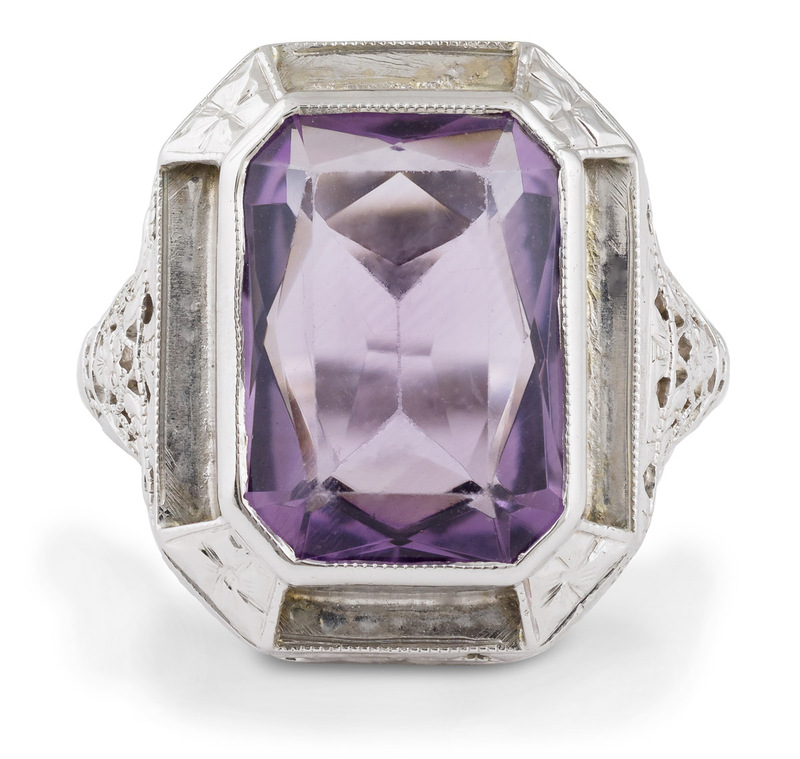 This ring is just the thing to wear for an evening out, or every day.